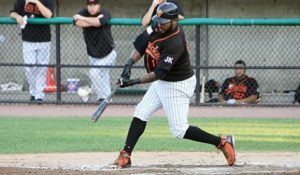 After a career year, Jordany Valdespin was named the Long Island Ducks MVP. There really nothing that he hasn’t done in the game. In all, Valdespin has appeared in over 1300 games at the professional level including four years with the New York Mets and Miami Marlins. In all that time in the game he’s never put up a year like he just had. And that’s nothing to be ashamed of. There’s no doubt that one of the most versatile players in the Atlantic League has the skill and talent to again, play at the next level. The Ducks, who made the announcement prior to their home finale on Sunday, boasted his numbers for the year and impressive is an understatement. The veteran hasn’t always been so praised by his club or teammates. In 2013 Valdespin was suspended by Major League Baseball for 50 games as part of their Biogenesis probe. In addition, he’s had multiple run ins with teammates, profanity laced tirades, and showboating after home runs. Five years later and obviously now more mature, Mr. “I’m the man right now”, is the man. Everyone deserves a second chance, and this is no different. There’s also no questioning his determination. No one play all these years without wanting one more kick at the can. And yes, mistakes have happened in the past, but that doesn’t mean he’s the same guy. He’s proven to the Ducks and the fans he’s the best version of himself.